You'll love relaxing on your open lanai with views of the 3rd green. This Heather Garden's condo is in move-in condition. 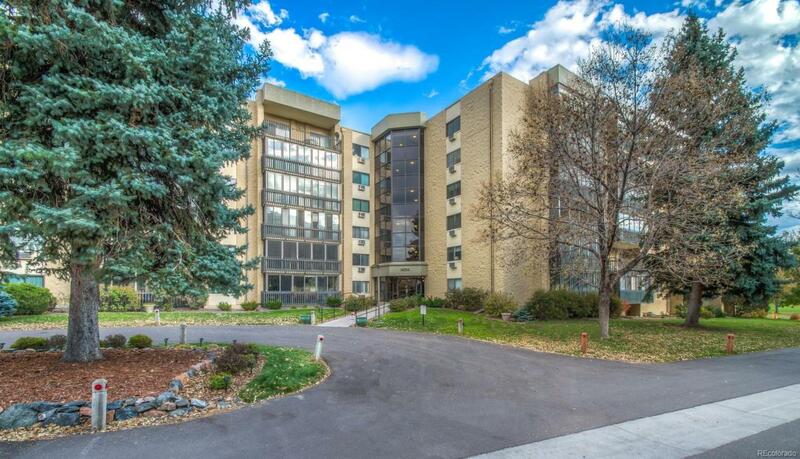 Enjoy all the conveniences of living in Colorado's most popular age-restricted community. This unit offers under-the-ground parking,#24, and a spacious laundry room. Newer paint, beautiful white cabinets, and a stainless steel refrigerator are only a few of this properties wonderful features. And if that's not enough, this unit is competitively priced. Make sure you stop by the newer multi-million dollar clubhouse. At closing, the buyer will be charged an Impound Fund Assessment equal to six times the current monthly HOA fee for that unit. (see 6.7 condo dec.) There are age and smoking restrictions. This property was built in 1973. Please include a signed Lead-Based paint Disclosure with the offer. The LBP disclosure, LBP Booklet, and Smoking Policy statement are located in the document supplement section of the MLS.